"Disclaimer: I received free entry to the Hospital Hill race & my AfterShokz Trekz Air's as part of being a BibRave Pro. Learn more about becoming a BibRave Pro (ambassador), and check out BibRave.com to review find and write race reviews!" So week three of Hospital Hill training has come and gone and I've loved being able to share my journey with you all this time around! Having this outlet has really helped me keep up with my training and hold myself accountable for every run! 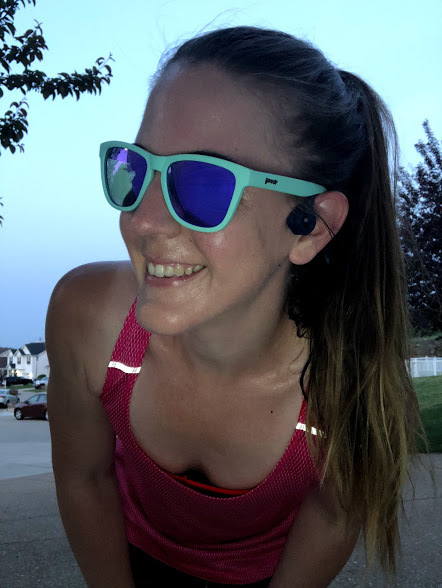 On top of that I am really excited to share with you all my love for my new AfterShokz Trekz Air head phones! These things have been incredible in many more aspects of my life other than just running, they're really universal no matter what type of life you lead! The Reality : I used this day as a rest day, Mondays are generally easiest days to schedule in some rest, Andrew's off work so it's the best time to spend together! We did have a bear hunt in our back yard after Oliver got home from school! The Reality : Impromptu rest day. We just had so much going on so I did a little cross training once the boys went to bed. The Reality : 2 mile warm up, 10 X 100m springts, 1 mile cool down, 4.6 miles total. I woke up earlier than I'm used to in order to get this run in! It was Oliver's last day of school and I wanted to make sure I didn't have to squeeze my run in while he was in school and I wanted to spend some time letting him play after school with his friends! It felt good getting up that early and getting it done. I felt strong and fast and was the perfect way to start my day! I used my AfterShokz Trekz Air's during this run, they're perfect for those early morning treadmill runs! I was able to watch some Netflix and still hear what was going on upstairs just in case one of the boys woke up and I had to go help them out with something! Which they did and I was able to hear them clearly! These headphones are incredible, you don't lose any clarity of your content while being able to hear everything around you! Another super early morning! Got in a quick 5k, again using my Aftershokz Trekz Air's! I was fortunate enough to sit out on my front porch and drink my first cup of coffee after my run before anyone in my house woke up! It was glorious! I chose to switch up the plan this week so speed work was to be done Friday! The Reality : 1 mile warm up, 4 miles @ tempo (9:26, 9:14, 9:11, 9:00), 1 mile cool down. 6 miles total. We had a wedding to attend later in the evening so I got the run in while Charlie was at his last day of school! We had quite a hectic day so I was pretty proud to get this workout in! The Reality : 3 easy miles. So, this run was pretty epic! I got my husband out there with me for the first two miles! He's adamantly saying how he's not a runner but he humored me! They boys stayed overnight at their Nana's so we were able to get this run in together. He was done after two and I continued for a quick third by myself before going to pick up the boys! The Reality : A little over 5 miles. It was Mother's Day, we started the day out with a 5k (the boys did the kids dash and crushed it!) We then spent the morning with my Mom and the afternoon with Andrew's Mom. We came back home, got the boys in bed and I went back out for a couple more miles. 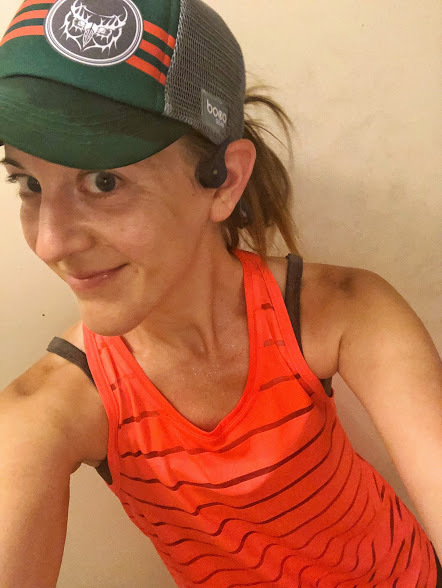 Again, I used my Aftershokz Trekz Air headphones for the second run of the day, which proved most useful because our neighborhood had a lot going on with Mother's Day festivities and people driving and running all around! This week was crazy! We had so much going on, however the next couple weeks are gearing up to be the same way so I'm going to have to be a little more creative in my training times and my plan in order to fit it all in! I'm up for the challenge but know that I am going to be extremely exhausted most of the time! So, basically I am in love with these headphones. The technology is incredible and I'm not going to lie, I was a bit skeptical. I didn't really understand how it all worked, how these headphones that sit on your outer ear bone, do not have anything that goes into your ear at all, could work! It's just incredible how you don't lose any clarity of the content you're listening to. For all the information on just how these headphones work, head on over to THIS PAGE and read all about it! I can't recommend them enough! I've been using them since the day I got them! Cleaning the bathroom while being able to hear these monkeys in the next room! All the training!! Check out how to receive a free trucker hat with your purchase of some Trekz Air's! More training!! Couldn't get it done with these bad boys! I have some really awesome discounts I can extend to you all for reading this post! Who doesn't love discount codes?!? 1. 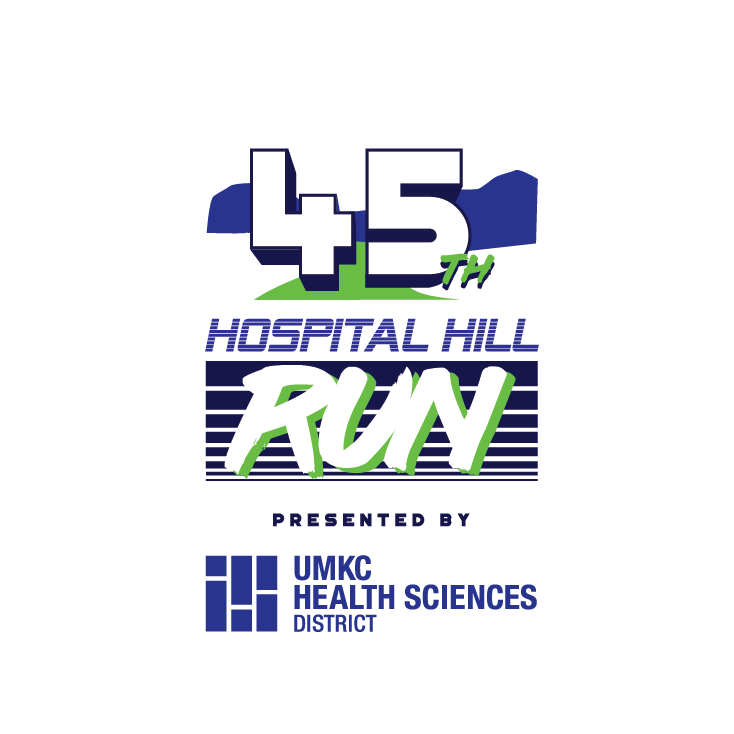 Hospital Hill - if you're still interested in signing up for any of the distances that this race is offering, you can sign up HERE and use code "BIBHHR18" for 15% off your registration! 2. AfterShokz - if you want to score some of these for yourself go to bibrave.aftershokz.com to get $30 off + a BIBRAVE trucker hat! That's all for today! I hope everyone has a great week!